Hacks to make drinking water a snap. It’s a fact: drinking water is essential to our being. It’s so important to stay hydrated throughout the day. Not only do we need to drink water to replenish the water we lose throughout the day, but drinking H2O can aid in weight loss, manage diabetes, and keeps your teeth, skin, and gums healthy. Most of us are so busy throughout the day that we forget about this essential task. 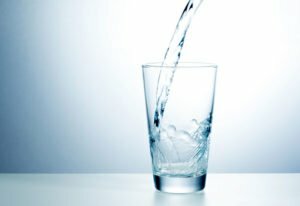 If you’re in need of water intake improvement, check out these tips. Add flavor. If you’re not one to drink plain water, there are ways you can add flavor to water. Cucumber, ginger, grapefruit, lemon, and berries make great additions to water that gently add flavor (and nutrition!). You can also add in herbs like lavender, basil, and mint to spice up your glass. Use an app. There’s an app for everything, right? Put your smartphone to good use by downloading one of the many apps that allow you to track how much water you’ve had in a day. Many apps also allow you to set up reminders to keep the water flowing. Carry it with you. If you always have water with you, you’re more likely to keep sipping on it. Get a reusable bottle and carry it with you at all times, whether you’re at the gym, at work, or at home. Keeping a bottle to hand helps you stay hydrated. Eat plenty of water-rich foods. Water doesn’t just have to come from what we drink. You can stay hydrated by eating foods with a high water content, like cucumber, lettuce, melon, and celery. These foods are healthy and will keep you fuller for longer. While you resolve to drink more water each day, allow the professionals to tend to your insurance needs. For all of your insurance needs in Fresno and surrounding cities of California, visit McCarty Insurance Agency today.